I love this film. The banter is quick. It’s witty. The actors are real. The story is so interesting. I love how they ended i t like a romantic comedy yet with a look from each character made it so open ended in a very “The Graduate” way. Is she just a Wednesday? Or maybe more? The characters in this film are so well written and the story is one, I believe, we all battle with: what love is the one you want, the comfortable love you can count on or the exciting, intoxicating love which also comes at great risk? And one scene is the film is so visually stunning it has become an iconic image I think of almost daily. (It’s the slow motion scene at New Years Eve with the confetti). This film can be seen o n almost every streaming platform. It was at Outfest one year prior to my first year attending. Oh what I would do to see the Q&A. Well..I wouldn’t do anything unreasonable but I am such a fan of Marja Lewis-Ryan’s writing for this film. She captured friendship and life so perfectly. 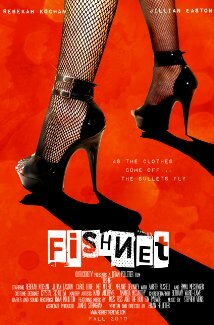 This is Lisa Cholendenko’s second film on my blog. To read about the first film go to this post. I hear a lot of mixed reviews about this movie. I happen to find it to be totally incredible. Lisa Cholendenko is one of my favorite directors. I love her style. I love what she has to say. 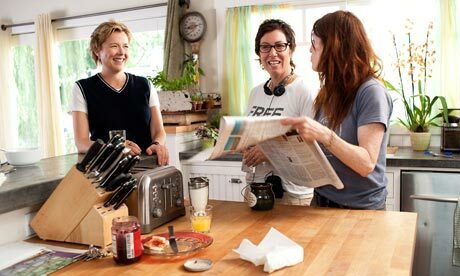 She does an incredible job at every step of the process but to make a movie where you have two lesbian characters and one cheats on her wife with a man is incredibly brave. I held off watching this film for so long because of how pissed off people I know were with the subject matter but when I finally sat down and turned it on I was mad at myself for putting it off. I think it is increasingly important to tell a story about people and the emotional h ardships they face within themselves without labels. Again, as in Puccini for Beginners and Kissing Jessica Stein (click the titles to be taken to my posts about them) the drama of this movie centers on someone trying to figure out who they are and why while having the added stress of fighting a label. Annette Benning and Julianne Moore are such incredi ble talents and this story was so honest in portraying how difficult it is to be in a marriage and how difficult it is to forgive a cheating partner regardless of the gender they cheated with, but it certainly didn’t help…and how these days the definition of family has become so different and interesting. The issues this film delves into are so intricate and compelling. My preference for everyday viewing is to watch a lesbian character not sleep with men. Thinking about or being tempted to sleep with men is not a reality I live in but I don’t doubt it is a reality for others. This movie makes me laugh. I saw this on one of my YouTube “let it play” binge days. I was surprised to see a feature on YouTube. And I’ve never seen these films but I believe the main character who is played by Rebekah Kochan is in those Eating Out movies. So it starts out like this: you’re in a club, on a stage, with a bunch of burlesque dancers. The opening is this silly burlesque routine and throughout the opening scene I wonder 1-what the hell am I watching? 2-did I stray away from my “lesbian” search terms? Question number 1 held throughout the entire movie and shortly into the routine I could already tell who I wanted to be in love…the two hottest actresses of course and bam! I was right, they were totally in love. So this is how it goes down. They work at a burlesque club in Los Angeles then something happens where the mafia gets involved and one of the lesbians, in true Sister Act fashion, gets involved and they go on the run. There are just not a lot of photos available for this title..
Not to a convent…that would have been brilliant, they went to the girlfriend’s parents house in Texas where the family doesn’t know their daughter is gay. You can really tell this film was directed by a man. Some of the scenes were just like..come on…give me a break…but overall this film has a lot of heart and is a film with the same spirit and gave me the same feelings as watching say…Better Than Chocolate. It’s definitely worth the watch and it’s free on YouTube so why not? Tags: 2000s lesbian films, Lesbian Characters in Film, Lesbian Characters in Movies, Lesbian directors, lesbian hollywood movies, Lesbian Romance, Lesbian Storylines in Film, lesbian writers, New Lesbian Films. Bookmark the permalink.